A beautiful place to visit. Photo taken from our campsite. Beautiful photo. What camera and lens set-up were you using? I'm going to be climbing and hiking in CO and UT this summer and I would love to get some good shots of mountains like that. Thank you for commenting and Welcome to PF. Colorado and Utah have much varied landscapes and wonderful choices to visit and explore. I used the Kx and my favorite lens, the 43mm ltd for this photo. Looking forward to your photos, enjoy your trip. Everything is right here, Colors pop, Contrast, Composition etc. Edit: If you ever do a B&W conversion, Please share! 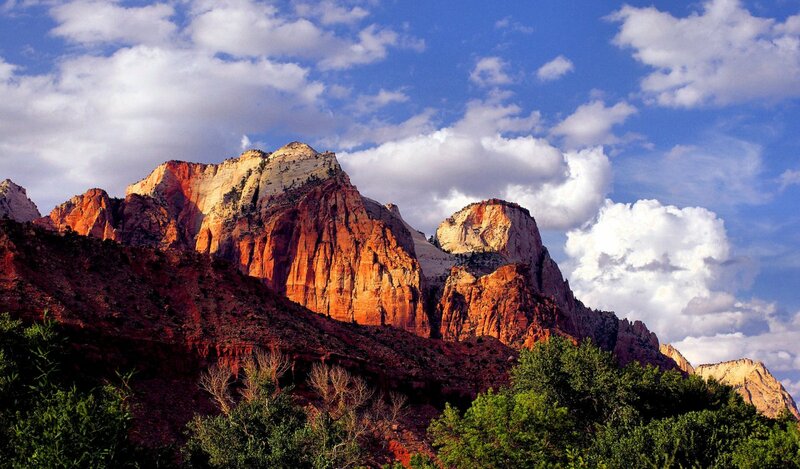 Beautiful Zion....must be tough waking up to that each morning Bob. Wow!! !Thanks for posting this wonderful shot Bob. A place I must visit myself. Gorgeous view, Bob. I'm trying to imagine the morning coffee with that as a backdrop...incredible! Truly spectacular, buddy - I'm impressed. thanks for viewing Norbert, lots to see and do in the area. Bryce Canyon is also close by and another "must see".